John A. Moffa is a the managing member of Moffa & Breuer, PLLC., where his main areas of concentration are Bankruptcy and Commercial Litigation. He is Board Certified in Business Bankruptcy and Board Certified in Consumer Bankruptcy. He is a member of the Bankruptcy Bar Association of the Southern District of Florida, the American Bankruptcy Institute and the National Association of Consumer Bankruptcy Attorneys. He is licensed to practice in Florida and appear before the Eleventh Circuit Court of Appeals. He is a member of the Bar in both the Middle District of Florida and the Southern District of Florida. He graduated from Nova University Law in the top 15% of his class with a J.D. degree. John was selected as a SuperLawyer, a recognition afforded to less than 5% of attorneys in Florida, in 2015 and annually since that time. John was hired by the United States Department of Justice, Office of the United States Trustee, through the Attorney General's Honor Program in 1992. He worked for almost four years in both the Tampa and Miami offices of the United States Trustee before entering private practice in 1996. At the United States Trustee's Office he practiced bankruptcy law exclusively. While with the Department of Justice, he represented the United States Trustee in over 400 Chapter 11 bankruptcy reorganizations. For four months he served as an Acting Chapter 13 Trustee on behalf of the United States Trustee and administered over 400 Chapter 13 cases. He was the Region 21 Sexual Harassment Representative. Mr. Moffa is able to represent clients in small Chapter 7 cases to complicated Chapter 11 cases and was an adjunct Professor at Nova Southeastern University, Shepard Broad Law School for four years teaching the Bankruptcy Workshop. 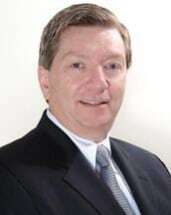 He served as the Chair of the Florida Bar Grievance Committee 17-G.
John has a BS in Accounting from Lehigh University (1973) and spent years in business prior to entering law school in 1989. He has owned and operated businesses and grew up in an entrepreneurial atmosphere. His parents owed and operated motion picture theaters and a 326 room hotel in his home town of Allentown, PA.
Seventeenth Circuit Grievance Committee "G"